Born in Ontario on 5 February 1876, son of Euphemia Ann Bartlett, he was educated at Glencoe, Ontario and the Winnipeg Collegiate. He later attended the University of Manitoba where he received his Bachelor of Arts, Bachelor of Pharmacy, and Master of Arts degrees. He did post-graduate work at the University of Southern California, University of Chicago and the University of Wisconsin where he obtained his Doctor of Philosophy degree. His teaching career started in 1887 when he held night classes to teach English in the Steinbach area. He taught at Centre School (1898) and later was Principal at Arden School (1908-1910) and Gladstone High School as well as School Inspector at Eriksdale and Hamiota. 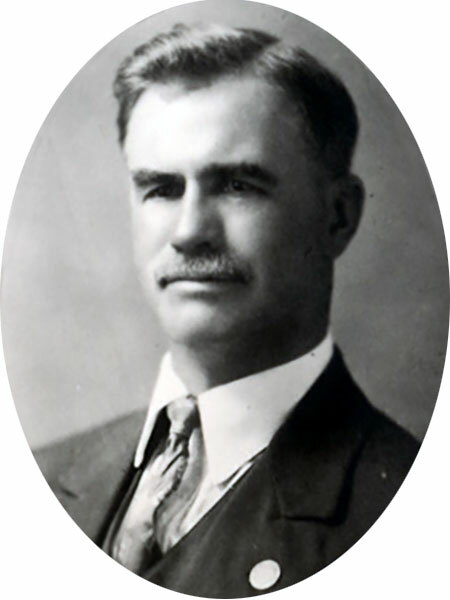 Serving as Principal of the Manitou Normal School (1931-1933), he then became a school inspector for the St. Vital area. He also held positions in other areas of northern and southwestern Manitoba including Treherne, Shoal Lake, and Souris. Bartlett was noted for being one of the first educators to introduce intelligence and achievement testing in Manitoba schools. He continued teaching after his retirement in June 1941, including a year as Principal of Brant School (1943-1944) but was eventually forced to leave the profession due to illness. He was married twice, first on 16 July 1903 to Annie Wilson McFarlane (?-1916) at La Broquerie. After her death, he enlisted with the Royal Canadian Engineers as a private and served in England where he met his second wife Dorothy Woolgrove Herbert (1896-1974). Following the First World War, he taught at Khaki College in Ripon, England before returning to Canada where he and his wife had three children: Ruth Irene Bartlett (1920-2003, wife of J. Allan Robertson), Mary Fern Bartlett (1923-1971, wife of Rev. Owen Tudor Hughes), and Alan Richard Bartlett (1925-2011). Active in the Boy Scouts as early as 1905, he served as Gilwell camp chief for Manitoba. He died at Deer Lodge Hospital in Winnipeg on 21 March 1950 and was buried in the military plot at Brookside Cemetery. “Fern Bartlett weds Rev. Hughes at ceremony in college chapel,” Winnipeg Free Press, 8 July 1953, page 12. Obituary [Mary Fern Hughes], Winnipeg Free Press, 4 August 1971, page 33. Obituary [Dorothy Bartlett], Winnipeg Free Press, 18 January 1974, page 27. Obituary [Ruth Irene Robertson], Winnipeg Free Press, 6 July 2003. Obituary [Alan Richard Bartlett], Winnipeg Free Press, 16 November 2011.